It's all change at Microsoft with 18,000 job cuts announced this week, but one part of the business which won't fall on the sword is the Nokia MixRadio music streaming app. Plans are afoot to spin-off the Lumia-based music app into a separate, yet-to-be determined, third-party-owned company, away from Microsoft's watch. The plans are to eventually offer the service on iOS and Android devices while still being built into all Microsoft phones as standard. "I don't believe any digital music service can succeed in the long-term if it doesn't have a pretty ubiquitous experience because that's what consumers and listeners around the world expect," Jyrki Rosenberg, VP and head of Nokia Entertainment told Billboard. "Our strategy is unchanged," he added. "The focus remains on being the most personal listening experience, that's really simple to use but highly personalized. Hopefully with this change, the other services will expand and create additional opportunities." 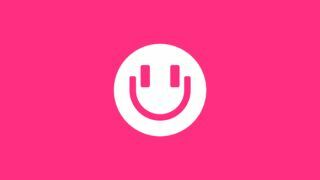 Nokia MixRadio (originally Nokia Music) has hardly set the world on fire since its relaunch last November, but it does bring a library of 32 million songs and more than 10,000 curated playlists to the table. It is also available in 31 countries, a reach that blows away services like Beats Radio, Pandora and iHeart Radio. It is particularly popular in India and China, according to Rosenberg. The VP refused to comment on how the Microsoft cutbacks will affect Nokia Music employees, but said he was in talks with investors over taking the company out of Microsoft's hands. Don't expect anymore Microsoft Android phones, OK?